The weather's been so great here that I think everyone with a scrap of gardening urge is heading outside and getting their hands dirty. A friend of mine recently aroused gardening envy in me with her bed of flowering tulips and poppies, plus tomato plants! I always resist, though, putting tomatoes in before Labour weekend. (Mind you she did it last year too, and there was a frost in late October, but she got tomatoes before me regardless). We've had fairly dirty hands. The bed of oats has been tugged out, had potatoes planted under it, and had the oats laid as mulch over top. We've never done it this way before. I've been given some comfrey, and it seriously does have roots like a tree! A lovely gardening man gave me a few roots and I planted them under an ailing lime tree, and they are coming away. He gave me a few leaves, too, which the chickens rejected as being anything like desirable. I was saddened by this because they are meant to love it, and it is very nutritious. After a recent wandering-free period, however, I noticed they'd eaten some of the newly emerging leaves. Plus a heck of a lot of silverbeet, of course. Comfrey emerging from tree-like roots. There's been a bit of weeding going on, and the laying out of pea straw around the strawberries. Once a friend said of pea straw that it makes a garden look like a bought one! It does, when it's fresh. Chickens love turning over mulch for the bugs underneath, of course, so they messed up my arrangement during their hour or so of roaming. Heads up, tails down, as they so love to be. But where are all my peas? They've been in for weeks and are doing very little. Disappointing. They are, of course, competing with wild parsnips all over the place. The zucchini had to go into the garden. I've tried a fancy 'Florence ribbed' type this year, and the seeds popped up fast and grew like billy-o, rapidly outgrowing their punnets. Mostly everything else has sprouted nicely, too. I always wish capsicums would get going faster. I've ended up with almost all big tomato plants (Brandywines) and maybe one cherry tomato (Gardener's delight) due to incorrectly second-guessing myself with what I'd already sown. I sowed two batches of biggies, instead of one of each. It is so important to not only label well, but to believe your labels! Meanwhile we are eating silverbeet (we have spare! ), cauliflower, parsley, coriander and lettuce. Soon we will have artichokes, a truly gourmet vegetable. I simmer them in lemon juice-spiked water and eat them with mayonnaise. I've finished my tree planting for the winter, and we have two new orange trees, a tangelo tree and a ballerina apple. Anything else - namely the macadamia tree of a certain cultivar we're trying to get hold of - must now wait until autumn. So we have a little break now until late October, when our big tub of ripe compost will be planted with the tomatoes and other seedlings, and basil seeds will be sown. Our runner beans will resprout from last year (hopefully). 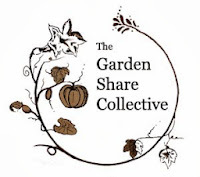 This post is part of a garden share collective. 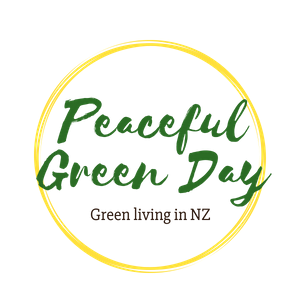 Click on the icon below and you'll be able to see what others have written - that should really get those gardening juices flowing! My chooks don't like comfrey either they much prefer kale or silverbeet any time. I have planted comfrey around the base of most of my citrus as a self composting technique, My plants are much to young to even notice the difference so it will be interesting to see how yours get on. I always forget to label my tomato seedlings when I am doing a mix of them. I always end up with one or two of things. i don't mind really but I love black russian so much. My peas have disappeared think they rotted with all the rain we had last month. Love your chooks.